Liberal Democrats may have just discovered a way to derail President Trump's Supreme Court nomination! Please sign the National Petition to Confirm Judge Kavanaugh NOW. And then please share this with every supporter of President Trump you know. The liberals, led by Senator Chuck Schumer, are DEMANDING that the National Archives produce every single document that Judge Kavanaugh wrote, edited, or signed while he worked in the Bush White House over a decade ago. No Supreme Court nominee has ever had to go through this kind of nonsense. Ever. According to the National Archives, it will take them until next October to fulfill this outrageous request. And, I'm afraid, Republican Senators who don't particularly like Donald Trump may go along with this insanity. It's no secret that the Democrats' goal is to bottle up this Supreme Court nomination until at least after the November election. And they may have just found a way to do it. Please sign the emergency petition right now. Help save Judge Kavanaugh's nomination. 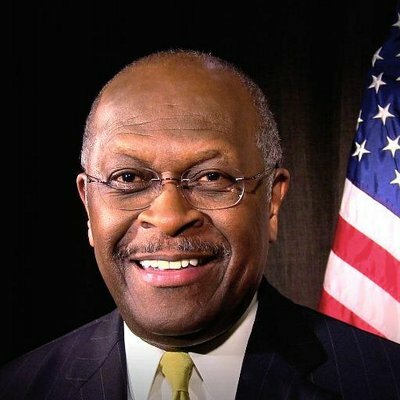 My name is Herman Cain. I'm proud to be joining the pro-Trump America Fighting Back PAC as its Chairman. Because I'm mad as heck about what is happening in Washington. You see, there are two types of people in D.C. now. Those who want to help President Trump make America great Again… and those who do not. Right now, those who do not want to "drain the swamp" are winning. That's why I launched this national petition drive. If you and I want to fix Washington, then we have put Judge Kavanaugh on the high court. Help me stop this obstruction. Help me put some spine in these Republican Senators. Help me blast through this obstructionist nonsense and confirm a conservative to the Supreme Court.